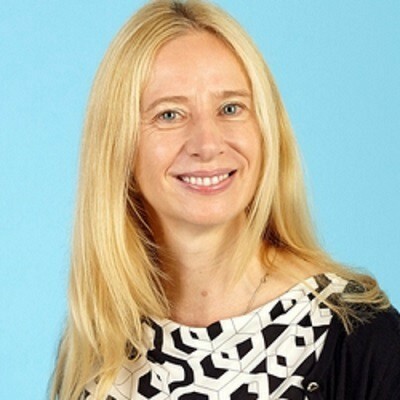 In advance of her keynote at Mobile Marketing Rockstars, the official MMA Germany side-event timed to Online Marketing Rockstars (OMR 18), Beate Rosenthal, Global Brand Director Digital & Media at Merck Consumer Health, gives us insights into her presentation. In this exclusive interview she candidly shares key lessons and learnings around how marketers can use mobile to accelerate brand building and, ultimately, become love brands that enjoy consumer recognition, appreciation and lasting loyalty. Join Beate and other brands and marketers at Mobile Marketing Rockstars (March 21 in Hamburg). There is still time to apply for an invitation to attend our event and take advantage of the opportunity to network and discuss the ideas and innovations shaping the industry at an invite-only brand dinner in a remarkable venue. Merck Consumer Heath, a division of the German chemical and pharmaceutical company Merck that offers a wide range of over-the-counter products to consumers in more than 40 countries, understands that the best marketing is both effective and emotive. Harnessing an approach that combines both — putting people and their personal mobile devices at the center — has allowed Merck Consumer Health to build a global and loyal audience for a range of iconic healthcare brands that are also “love brands.” Put simply, they have earned the love of consumers because everything the brand does and says — interaction that is digital-always-on and mobile-first — is focused on showing consumers that Merck Consumer Health genuinely cares about their lifestyles and life stages. It’s all finding ways to use mobile to “differentiate, emotionalize and reach consumers where it matters most to them,” Beate says. #1 Brands have to learn to be love brands to be successful and sustainable. What convinced you to embark on the journey to make Merck love brands digitally in the first place? What makes me so passionate about digital and mobile? It’s because I am passionate about the future. It all goes back to my personal experiences. In 1989 I had just finished my high school and then the Wall came down, and I was one of the first generation of youth able to study in a unified Germany coming from the East. That has probably shaped me quite a bit in terms of my perseverance and optimism. I saw anything is possible and it’s a belief I have carried with me. Throughout my career, I’ve always believed in all possibilities, and I’ve been one of those people who stand up and say, ‘this is coming, and as a brand, we have to be there.’ After 19 years at P&G, I was asked to join Merck. It’s an exciting opportunity because, again, I can make things possible. As digital evangelist, I can shape things, and that is what is happening because we want to be digital first and this is why my job involves digital, media, our marketing capabilities, and our agency management. It’s about changing mindsets to be digital first. We are not all there yet, but it’s where we want to be. #2 How do you define a love brand, and where do you start? 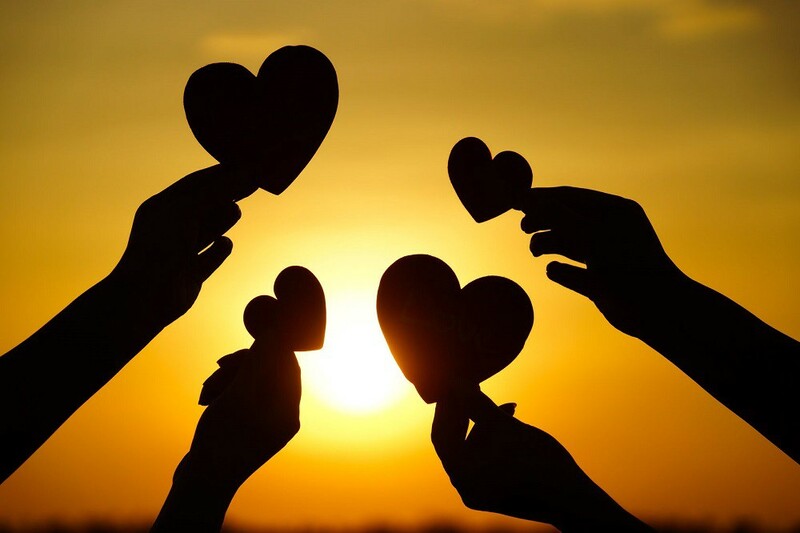 Being a love brand does not just mean that the brand adds emotional benefits to the functional superiority of the product or service it offers. Love brands commit to societal topics, taking a stand about topics people care about most. And, by the way, brand love is a scientifically proven concept supported by studies that show students’ hearts slow temporarily — literally ‘skipping a beat’ when they saw their favorite brand logos. So, brand love is real, and brands really have to be committed. A prime example here at Merck is how we market our Femibion pregnancy supplement. It’s not just about preparing a mom and her baby for a healthy start to a long healthy life. We are also taking a stand, stirring the discussion to support working moms — and dads. We believe motherhood is a qualification to be proud of and we are driving this idea as part of an initiative we call MumPlus. We are encouraging women to go out and be confident about the skills that they built in motherhood — multi-tasking, planning, staying calm during stressful moments. 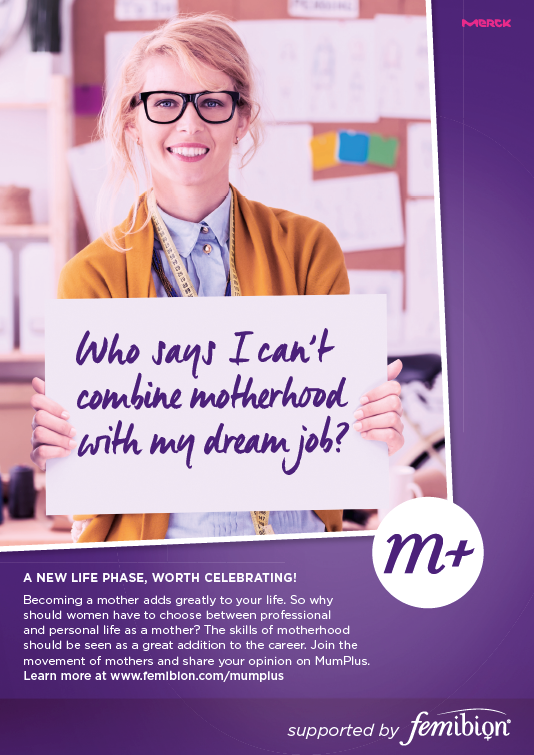 These are amazing skills, yet ‘motherhood’ isn’t displayed proudly on every mother’s CV? We want to encourage women to speak out on how becoming a mother has enriched them both personally and professionally. So, so we’ve created a MumPlus button on LinkedIn, letting moms add MumPlus as a position in the experience section on their profile page. They can share it proudly, and they can enter their dates of maternity leave and the skills they gained. #3 It’s indeed an amazing and admirable initiative. Tell me about the strategy you have pursued to make it digital, mobile and, above all, genuine. MumPlus is completely digital, completely online. What’s more, the whole brand is about communicating online. It’s not just because online allows much better targeting than classical offline-based tv and print communications; online is the channel that encourages and enables the greatest engagement and brand connection. Once started, the aspiring love brand needs to be ready to be present to and interact with stakeholders all year round. Gone are the times of media flights and on off presence in the social space. People that care about a topic will be willing and ready to share it with others. To reach people that care, we have more possibilities than ever to use precision targeting, leveraging attitudinal data from media providers including Facebooks and Google’s intuitive planning tools. That said, we need to all identify the right measures of marketing in the digital era, working towards a business outcome and connecting the dots between online and offline media. At Merck Consumer Health, we’ve connected our digital metrics to best fit with our guiding brand metrics, the so-called love brand criteria. We know that Facebook page net likes and YouTube channel subscription connect with brand commitment and thereby market share. Editor’s note: We love Beate’s views on love brands, but we won’t give away all her ideas and insights just yet. How important is real-time data *really*? Why should marketers focus on social listening? What are the pitfalls you need to know and avoid in your own efforts to become a love brand? For answers to these and more questions — and the opportunity to discuss love brand strategy with your colleagues and peers, apply today for an invitation to attend Mobile Marketing Rockstars. NOTE: This interview was conducted and written by Peggy Anne Salz, Chief Content Officer of the MMA Germany, mobile analyst, and content marketing strategist at MobileGroove.